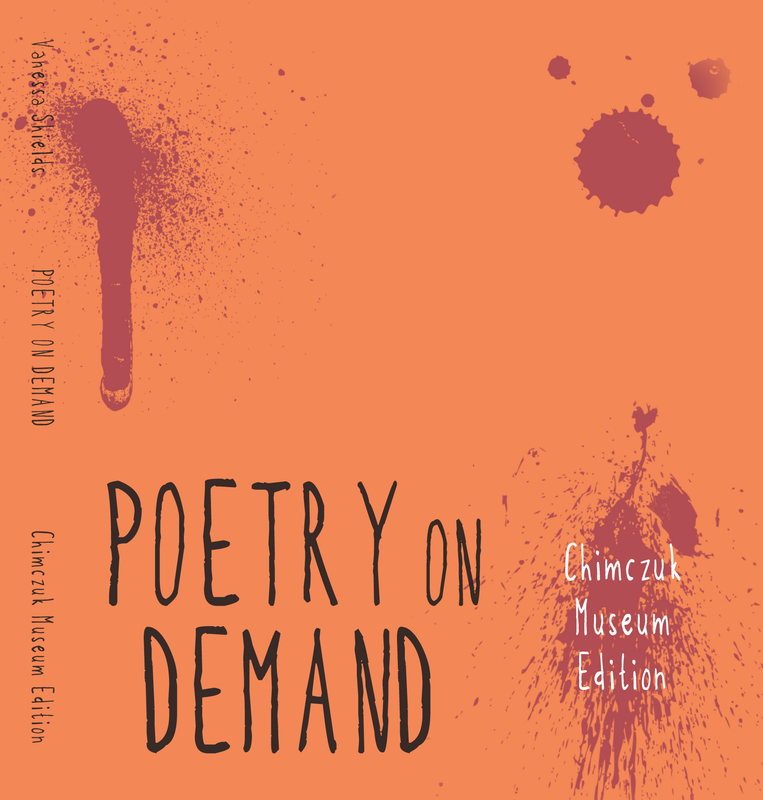 The Chimczuk Museum Edition features poetry on demand written on the opening day of Windsor’s new museum. Museum-goers had the chance to play in and tour the museum, listen to and see performances by local artists/groups, have hands-on experience in the children’s section, and if they were in the right place at the right time, there were even cupcakes! Thank you to the City of Windsor Recreation and Culture Department for inviting me to do poetry on demand for this momentous event! If you’d like to order a copy of this collection, please email Vanessa at shieldsvanessa@gmail.com with ‘Museum Poetry On Demand Purchase’ in the subject line. In the email, please include your mailing address. I (Vanessa) will may your copy to you, unless we arrange something else. Thank you for supporting your local poet and poetry on demand!